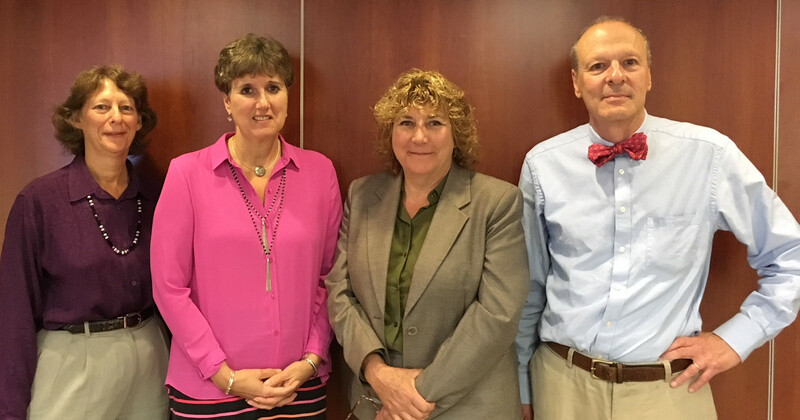 Nancy Glidden participated as a panelist for a two hour CLE program sponsored by the Chester County Bar Association ADR Committee on October 10, 2017. The topic for the program was “Exploring Ethical Issues for Mediators.” Nancy’s portion of the program addressed the subject of “Implicit Bias” and how it can influence mediator neutrality. Left to right: Judy Weintraub, Nancy Glidden, Mary Jo Gilsdorf and George Elser.